Since Unai Emery replaced Arsene Wenger as the manager in the summer, something changed in the Emirates Stadium. After 22 years of the French managerial legend, he pulled the line and decided to leave his beloved Arsenal. The ex-Sevilla and PSG coach was chosen as successor and nearly one year later you can already see a change in results and reputation. The London club finally is looked at as a serious threat by other top clubs, due to wins over Manchester United and Chelsea and some additional good performances against the other teams. The gunners perform better and better, but there are still some things that need to be improved in the Emirates. Here is a list of 5 things that in my opinion need to change in the club, so they can be at the top again. The last performances (2-0 vs Manchester United and 3-0 vs Stade Rennes) showed that the newly implemented formation improved their overall performance. Their defence finally looked secure and they even got two clean sheets in a row, which was a rare occurrence under Emery. 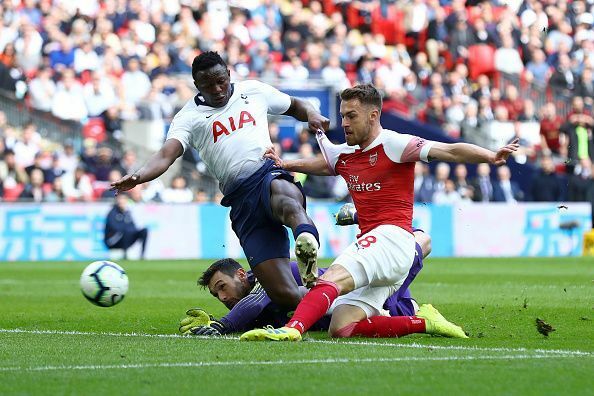 It also helped the wing-backs (Sead Kolasinac and Ainsley Maitland-Niles) to concentrate themselves on their offensive part of their game, as they both are not known for their defensive work rate. The centre of midfield, mostly consisting of Aaron Ramsey and Granit Xhaka, also did their jobs in a magnificent way. Maybe the most important discovery of this tactic is, that Pierre-Emerick Aubameyang, Alexandre Lacazette and Mesut Özil can work on together on the pitch. It seems like the Spanish coach has finally found a formation that works with the given players. They not only get in the results but are also playing some beautiful football, which is also very approved in London. Nacho Monreal, Laurent Koscielny and Sokratis Papasthatopoulos are all over 30 years old. While Monreal’s contract is running out at the end of this season, Koscielny, the team's captain, has missed 26 games due to injury over the last two campaigns. These three players were the starters in the last few games and will need to be replaced over the next couple of seasons. The other defending options are Shkodran Mustafi, who is too error-prone for a top-class-option, and Konstantinos Mavropanos, a young Greek, who has been ravaged by injury this season, after a promising start to his Premier League career, towards the end of Wenger's reign. Rob Holding is definitely one to keep an eye on, after his sparkling performances at the start of the season. It was cruel that the 23-year-old Englishman's season had to be cut short by the serious injury he suffered in November. To be a serious threat in the 2019-20 season, Arsenal has to do some transfer business in this position. While Monreal will leave the team on a free, Mustafi probably will bring some good money to the north of London. This would leave them with just four options in Koscielny, Sokratis, Holding and Mavropanos. One of the players coming into the squad should be proven enough to start right from the beginning. A man who is strong in the air and consistent in his tackling, like Willy Orban, Mattias Ginter or James Tarkowski. While the two Bundesliga stars are very good on the ball as well, the English international Tarkowski is already Premier League-proven. All those suggestions would also fit the rather small budget of reported £40 million. Whereas the Gladbach player could be leaving his club for £21.5 million, Orban is only worth £11.5 million. Tarkowski is obviously also quite expensive due to him being English, at £20.5 million. The other transfer has to be a young talent, who is ready to start some games in either the league or Europe. Three shooting stars that come to my mind are Ibrahima Konaté, Jan Bednarek and Joachim Andersen. Konaté is a French man, only 19 years old and an undisputed starter for Leipzig. The only issue here is his price tag of around £38 million. Bednarek already starts in the Premier League for a Southampton squad that already had the likes of Virgil van Dijk and Toby Alderweireld. £14 million is also a quite cheap amount for the talent he is. The last one, Andersen, is playing his breakthrough season for Sampdoria in Italy, where he is valued at £17 million. What makes those three defenders particularly interesting is their strong build up ability and security on the ball. The Welshman, who was recruited by Wenger from Cardiff City, played a huge part in the recent history of the Gunners. In his ten years at the club, he was often injured, but nevertheless, when on the pitch, played some great football and always gave it his all. Every chapter comes to an end, as Ramsey is leaving for Italy, to join Juventus. The club does not only lose a star player, they also miss another homegrown man. His box-to-box mentality will not be easy to replace, as they need a player who is able to score a goal every now and then, but still be good enough defensively to support the backline. Homegrown players like that are hard to find and Arsenal should be willing to take a gamble on a younger option. Two transfers that come to mind are Phillip Billing from Huddersfield and Jonathan Swift from Ready. Billing, who already played two seasons in the Premier League at the age of 22, is not known for his offensive contribution, but a good passing accuracy (79%) and 1.6 shots per game warrant at least a look at him. What makes him particularly interesting is his size of 193 cm that allows him to win most of his aerial duels. Swift is a 24-year-old under contract at Reading. He even puts up better numbers the Billing, but just plays in the Championship. A transfer would not cost that much and could turn out to be a huge surprise. A third option is Calum Chambers, whom the Gunners loaned out to Fulham. There he started to play in the centre of midfield and improved his offensive part of the game. The 24-years old definitely could find himself a place in the squad anyway, either as centre-back backup or in the middle of the pitch and therefore warrants a second chance in the team. He may not be ready yet, but he would be the easiest option of them all. Kolasinac’s start at the Emirates was not an easy one. A huge physical appearance as he is, the 4 at the back they played mostly last season, did not suit the Bosnian international. He is great bombing forward on his left flank, but sometimes just is too offensive. With the newly implemented 5 at the back, he gets enough defensive cover to start his runs without worrying too much about a counter. 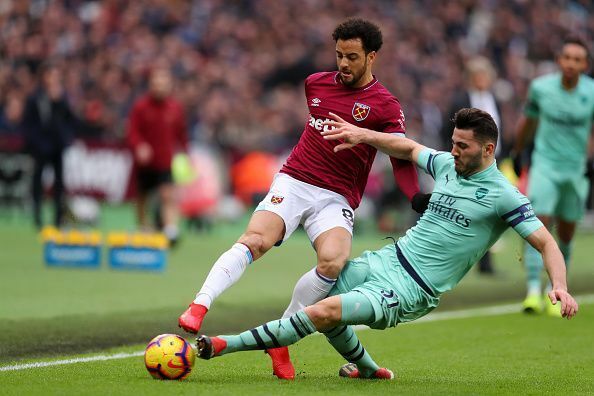 The only other left-back in the squad, Nacho Monreal, could leave the Gunners at the end of the season and will definitely need a replacement. Kolasinac is only 25 years old and still got a few good years in him, therefore it does not make sense to buy a huge talent, whose development just would get hindered behind a set starter. A player like Ben Chillwell or Alex Grimaldo would also cost huge money, which would not fit with the rather tight budget. Someone like Matt Targett, who got his strength in crossing and key passes could work out. He is still only 23 years old and definitely worth the valued £5 million. He would also add to them homegrown quote which is a nice side effect to this transfer. Same goes with Ben Osborne, who got similar strengths and even lower price than Targett and is just one year older. The only downside here is that he plays in the Championship and is not proven in top flight. One none-homegrown option would be Robin Gosens, who plays for Atalanta in Italy. He switches between the left-midfielder and left-back position and could definitely put in a shift at wingback. The German is a great tackler as well and only valued at £7.5 million. 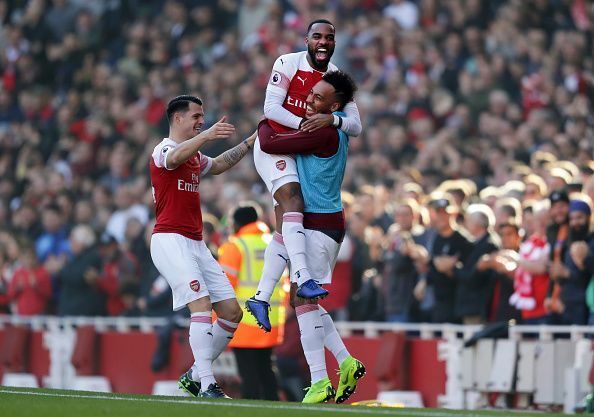 Aubameyang and Lacazette both are amazing strikers and definitely will start the majority of games in the next few years. However, behind them is a big void. Welbeck, who is a backup to them is often injured and in my opinion not good enough to be a direct replacement to either of them. Nketiah is another talented option, but at 19 years, old not ready for such a big task. In his case, I would recommend a loan, as he would benefit from some first-team football. However, another experienced striker is needed to displace one of the two if needed. A great candidate would be Joshua King. The centre-forward is very fast, clinical in the box and right now blooming up for Bournemouth. He got experience in a two-striker formation and with a value of around £26 million definitely worth to splash some money on him.